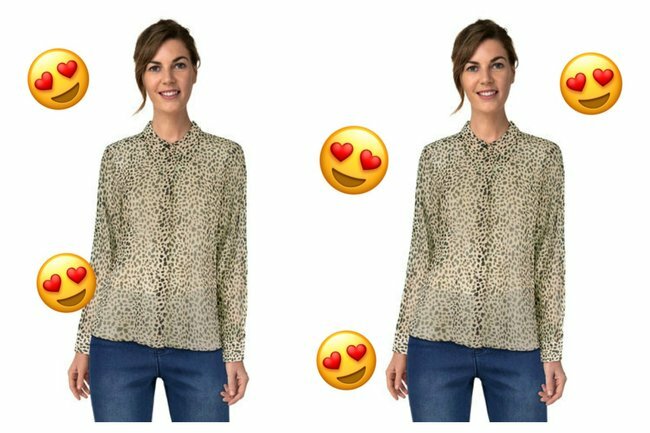 The $15 Kmart leopard print shirt that looks effortlessly chic. Challenge us to walk into Kmart without emerging with armfuls of crap we don’t need and I guarantee you we’ll fail. But while we’re definitely prone to the odd unnecessary purchase (the pinatas were on sale), every now and then we strike gold. Gold in the form of a wardrobe item so gloriously stylish yet affordable it’d be rude not to buy it. 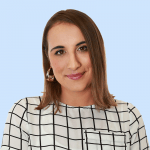 And lucky for you, dear readers and budget fashionistas among us, we’re happy to share the hot tips so you can go forth and spend without the post-purchase guilt. Enter the $15 leopard print shirt so chic people will be convinced it’s from the designer section of ASOS. … And enjoy the smug feeling you get when you tell them it’s actually from our Disneyland equivalent – the happiest place on Earth – Kmart *cue angel music*. The sheer, lightweight button-up in the greatest print there is (shout out to leopards) is the perfect addition to spice up your work wardrobe, wear on a night out or dress down for weekend brunch dates. Pair it with a blazer, jeans and red lippy for a fun Friday drinks look, tucked into a black A-line skirt with tights and heeled boots for a slightly more corporate effect, or with slouchy boyfriend jeans, a leather jacket and sneakers on weekends. Heck, you could even chuck it on with a patterned skirt or pant for power-clash goodness. I bought mine a couple of sizes bigger for a loose fit, and snagged a purple lace bralette (also from Kmart – $8!) to wear underneath.